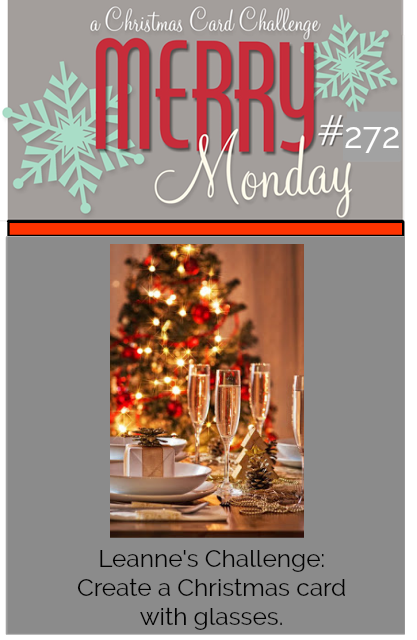 We have a new Merry Monday Christmas card challenge, Leanne is our hostess and her challenge is to Create a Christmas card with glasses. Supplies: White and gray cardstock, Designer Paper - Wild Rose Studio, Woodware - FRCL220, pearls. 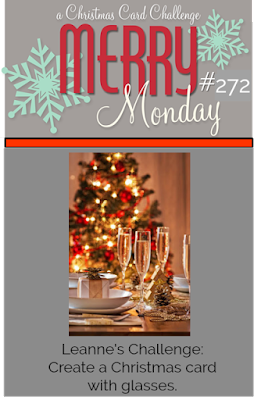 Be sure to stop by the Merry Monday blog to take a look at all the fabulous cards created by the design team. Play along with another fabulous challenge. Leave it to you, Nina, to find the perfect designer paper with glasses! 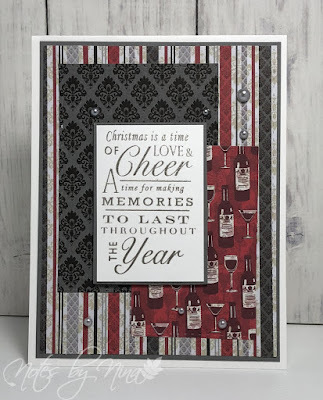 So great with those colors and the platinum embossed sentiment!! 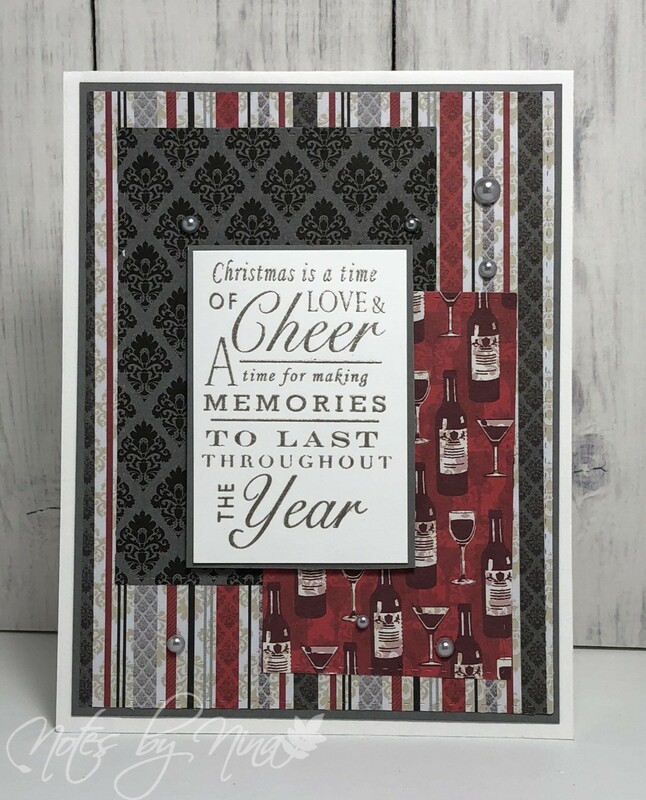 Fabulous card...love your wonderful patterned paper, so festive! Lovely layered card, Nina. Have a great week. Love that sentiment. Great card. Great job! I'd love to take a peek of your pattern paper selection! You always have just the perfect thing! Great Christmas card Nina, love the DSP and sentiment that you used. LOVE that great paper, wish I had some! LOL!! !